The purpose of online examination to enable institutes to conduct tests and have automated checking of answers based on the response by the candidates. This software would be very useful for educational institutes where regular evaluation of student’s is required. · Being an integrated Online Examination it will reduce paper work. 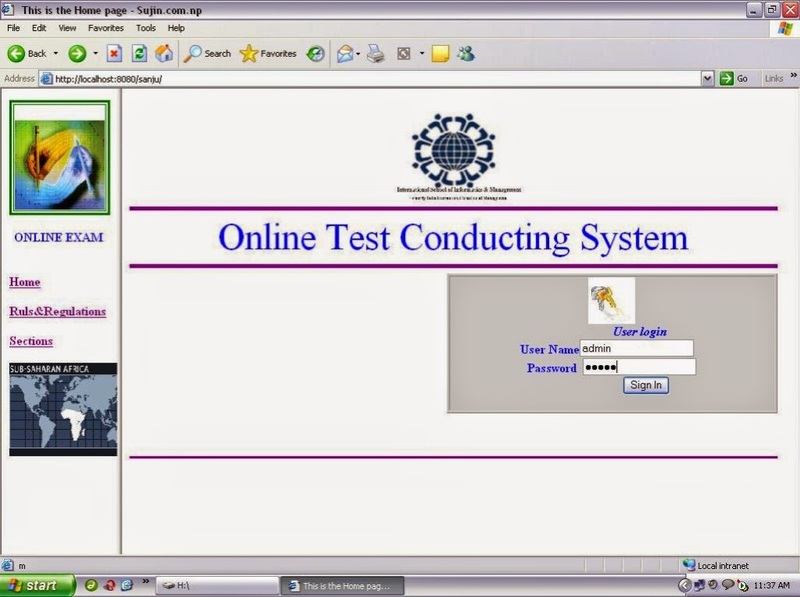 · The student can login with valid user id and password and can appear for the interested online test. · It will reduce the hectic job of assessing the answers given by the students. · Responses or feedbacks can be checked automatically and instantly. · Hence it will reduce the time as well. · Maintaining of such data as well as retrieval of data such as how many students appear for the test, marks obtained by particular student, etc would be easier. · The student can view their test records and the faculty can view all the test records of every student. As the students need to register themselves only those registered users having valid user is and password can appear for the test. Hence it will allow security to data and can prevent unauthorized access. The proposed system will be developed in Visual Studio 2005 and SQL Server 2005 will be used in backend.